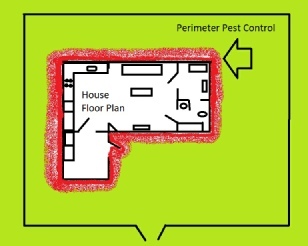 Green Side Up’s perimeter pest program is designed to keep unwanted insects or other crawling creatures out of the house. The applications are applied in a liquid form around the foundation of the house in a 3-4 foot wide spray. 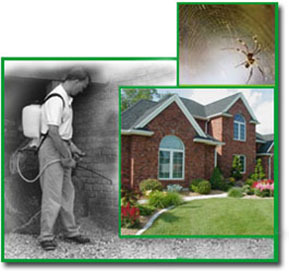 The insecticide will create a barrier eliminating unwanted intrusion of crawling pests. The application should be repeated 3-4 times throughout the season for the best results. The idea is to keep insect populations to a minimum in the areas immediately outside your home so you do not get insects inside your home. This is a great way to control insects without having insecticides inside your house where you eat, sleep and where your children and pets play.